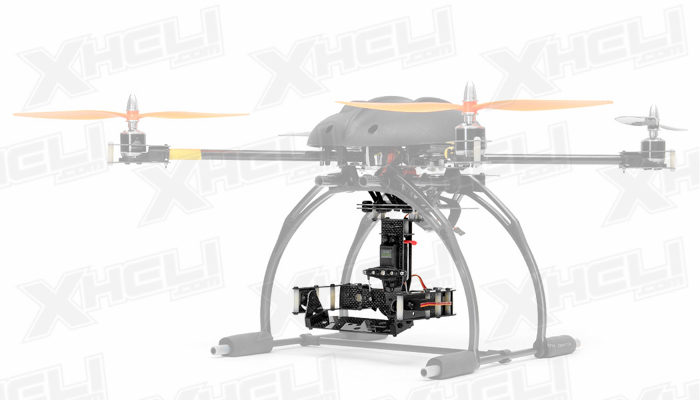 A quadcopter is perfect for first person view flight or aerial camera work. 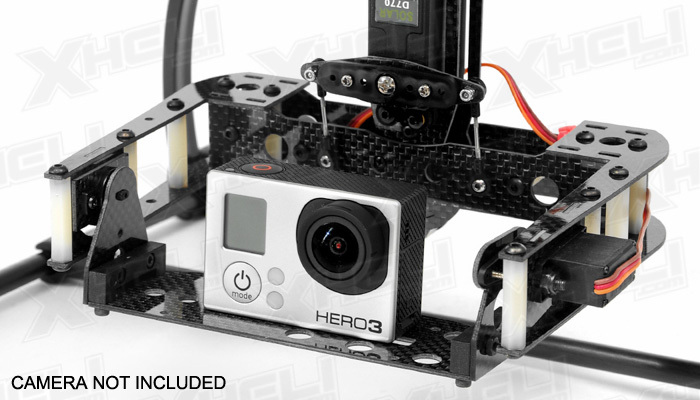 AeroSky has created a custom camera mount for the AeroSky C6 Quadcopter. 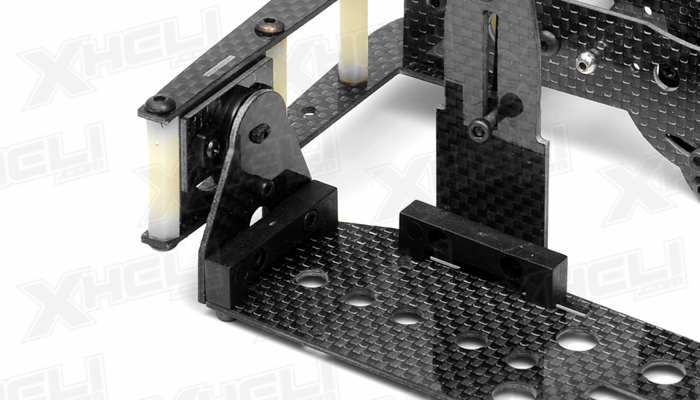 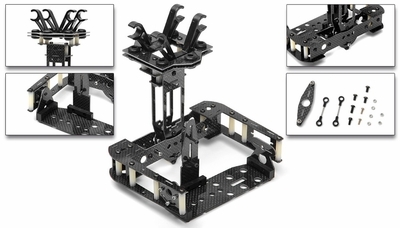 The mount is constructed of carbon fiber plates keeping the mount lightweight and strong. 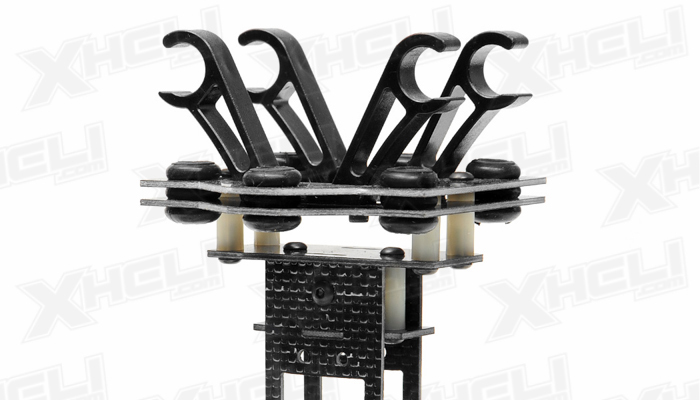 Rubber bushings are fabricated into the mounting bracket that reduces vibrations emitting from the motors providing a clearer image. 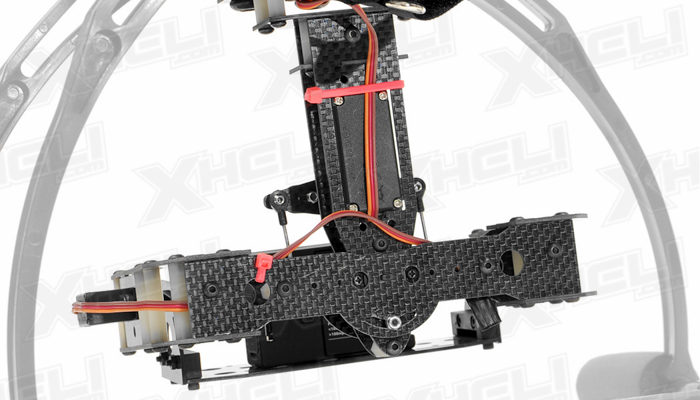 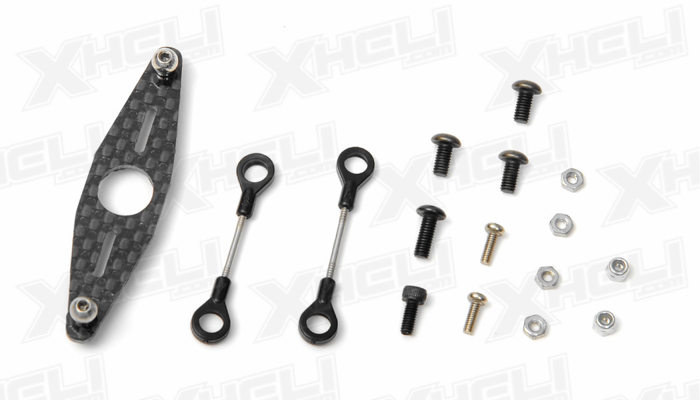 A custom mount attaches and detaches easily from the carbon fiber tubing of the C6 quad. 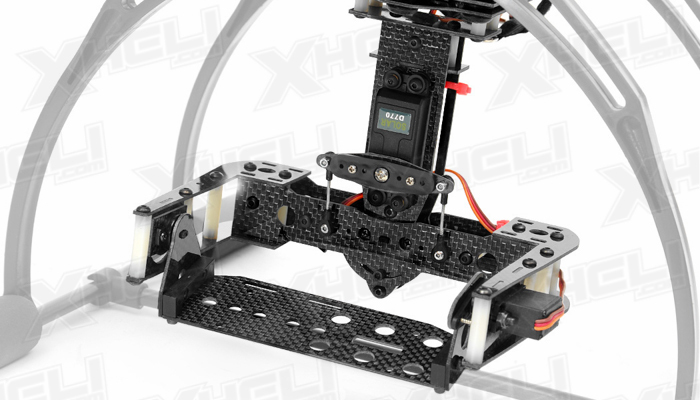 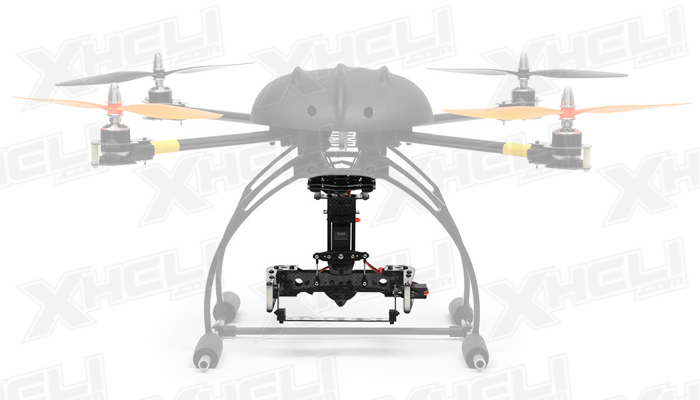 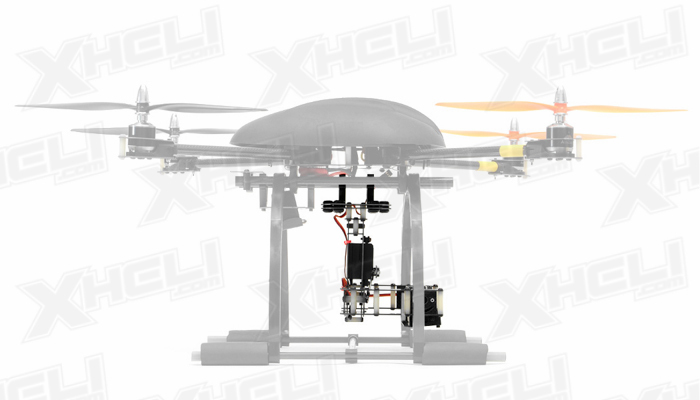 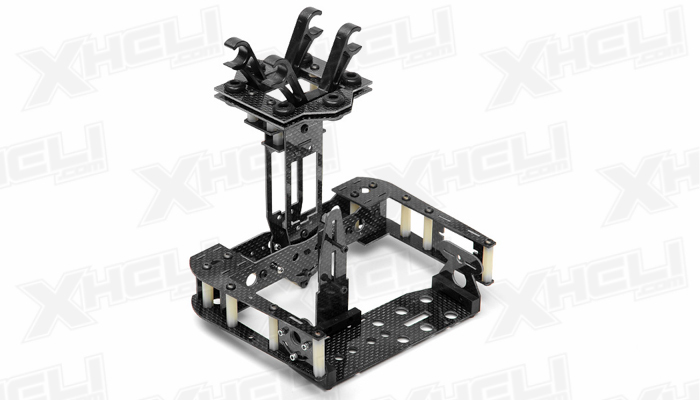 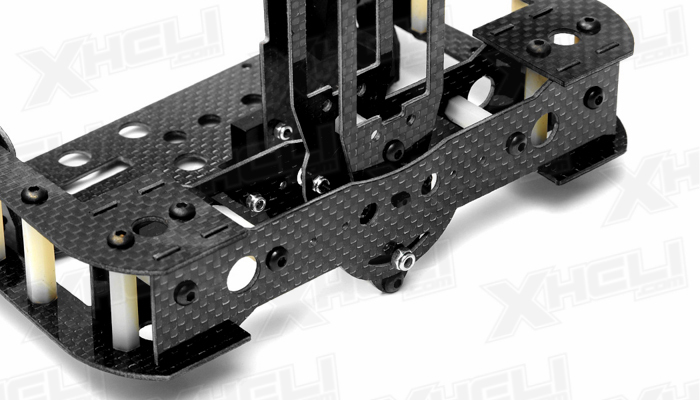 It mounts to the same carbon fiber rods as the landing gear and provides a solid platform. 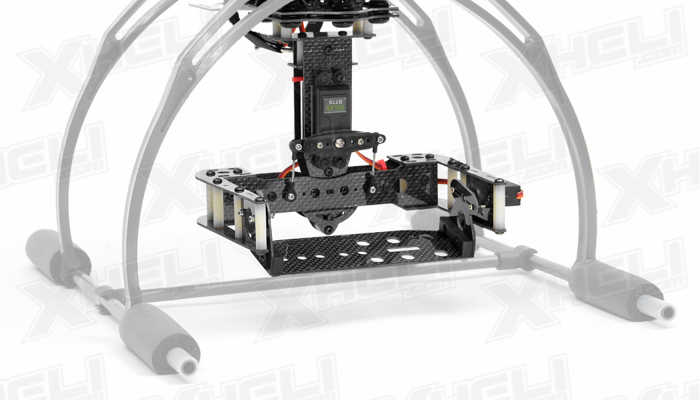 This mount will allow you to affix a camera and provide the ability to yaw the camera along an x and y axis. 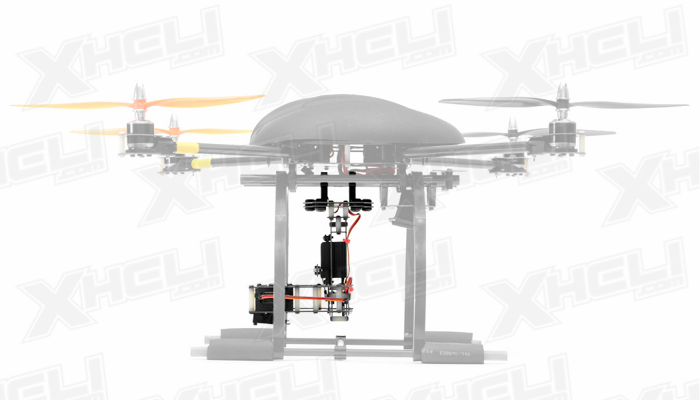 You can also mount a gyro that keeps the camera steady during flight and isolate camera movement from quad movement. 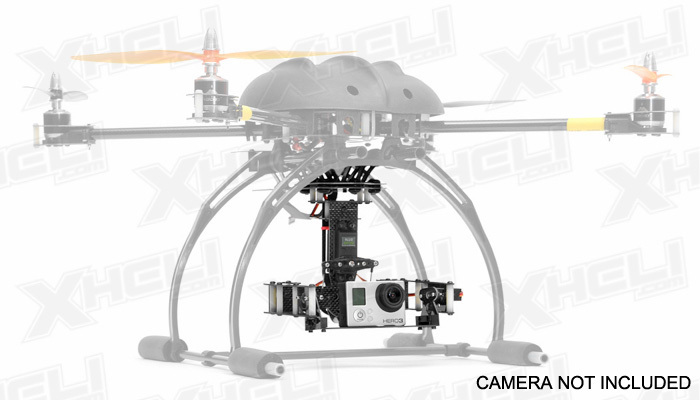 This versatile mount is perfect for aerial photography or capturing unique footage from up above.